There will be more things that come up, I am sure, but this is what I have for now. As we go through these items I will blog about how we work it out. 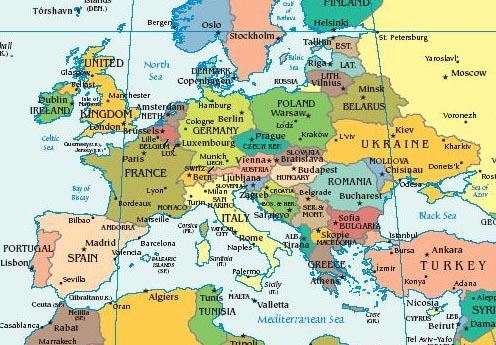 We are planning on visiting several countries; France, Spain, Portugal, Italy, Greece, Germany, Austria, Czechoslovakia and England. I feel so lucky that I have a chance to do something like this, oh boy! Here we go…. ← We are going to live in Europe! Having lived in Europe myself, I would recommend you start the winter months in the South (Spain, Portugal, Italy, Greece) and work your way up as spring sets in (France, CZ, Germany, Austria, UK). It’s not much, but it will allow you to be outside a lot without freezing to death (it can drop down to 0°F in Northern Germany for example). Travel-wise, you could also consider the train. European countries have a very good train infrastructure (between countries and inside countries) and depending on your destination/season, prices can be low. There is the SNCF (sncf.com) in France, Deutschen Bahn (DB bahn.de) in Germany, etc. Yes, thank you so much for your comments! We were thinking on those lines as well. We are from Southern California so the warmer winter areas are definitely appealing, although skiing in the Alps does have a certain appeal too! I will look at the websites you suggested. Hope you enjoyed your time in Europe!